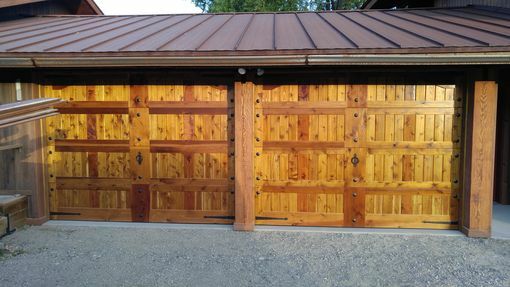 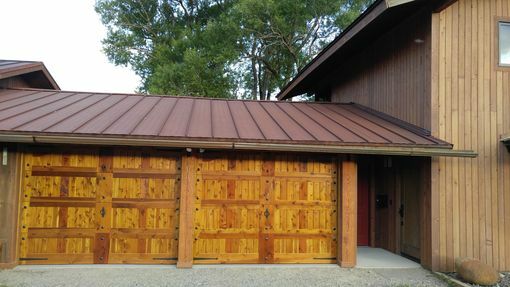 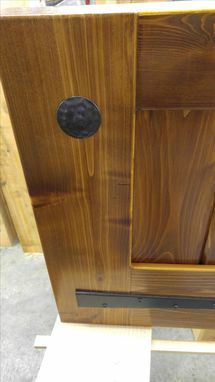 3" thick hand made solid wood garage doors (with western red cedar), iron clavos, ¾hp wisper drive Wi-Fi opener, and all installation hardware included. Each door (in this model) 9' wide x 7' high. 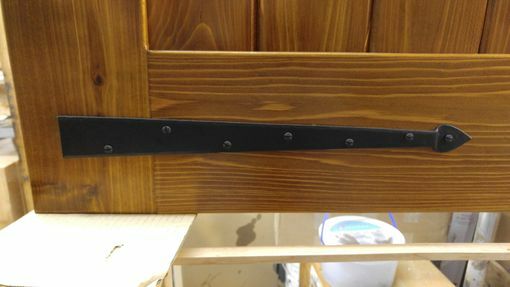 Can be customized to suit your needs on size, color, etc.